« A Bit More Than a Shadow…. This entry was posted on February 11, 2010 at 1:56 pm and is filed under Motherhood, Organic food. You can follow any responses to this entry through the RSS 2.0 feed. You can leave a response, or trackback from your own site. I started getting that box on fridays too! 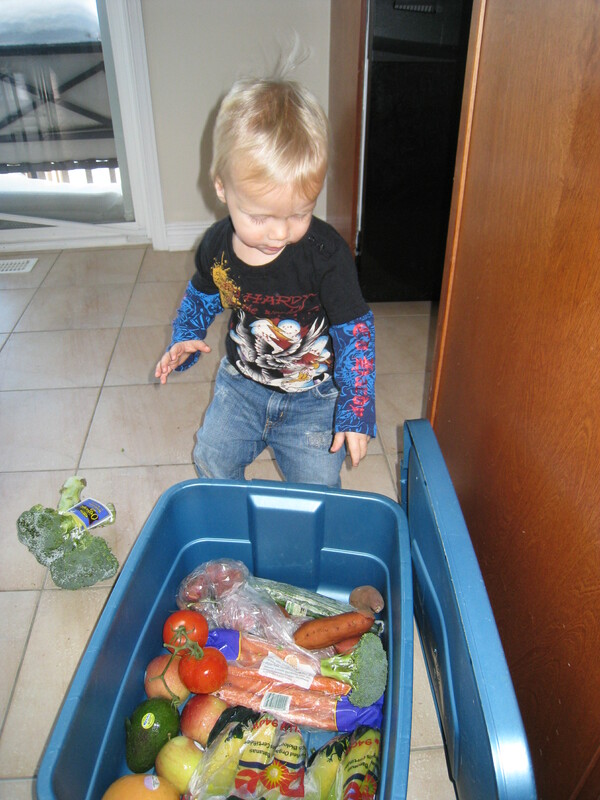 We do most of our shopping at Loblaws because they have the best selection of organics. When I was pregnant for the first time, a man saw me buying non-organic bananas and stopped me to tell me the types of chemicals in them, and how they don’t leave your body. He was a researcher and said it bothered him so much to see pregnant women consuming non-organic bananas! Anyways, I don’t buy everything organic, but as much as I can. I saw Food Inc too…. pretty frightening, but I am hopeful the food industry is going to change.